Where am I? › Home > White Papers > Globoforce > Put Employee Retention on the Top of your Priority List. More than a third of employees are quitting even in a tough job market because managers don't give the frequent feedback they need to get engaged. 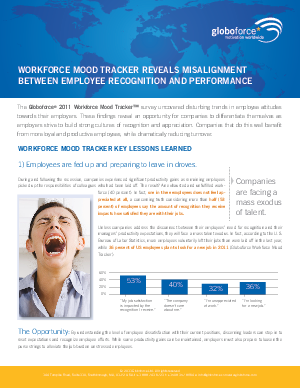 Download the Workforce Mood Tracker to find out how your company can improve employee engagement and reduce turnover.